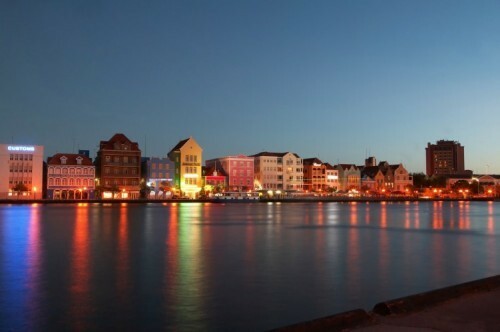 It doesn’t matter that the sun is setting: on Curaçao, there is so much to explore come the evening time and regardless of where your interests lie. The night scene on the island is considered to be the best of many islands in the Caribbean. If you’re keen to know the week hottest of spots, pick up a copy of K-pass from the tourist office or even in your hotel, but otherwise, the Salinja district is always a pretty safe bet. If it's some Las Vegas-style action you're after, you'll be pleased to find many casinos dotted around the capital. 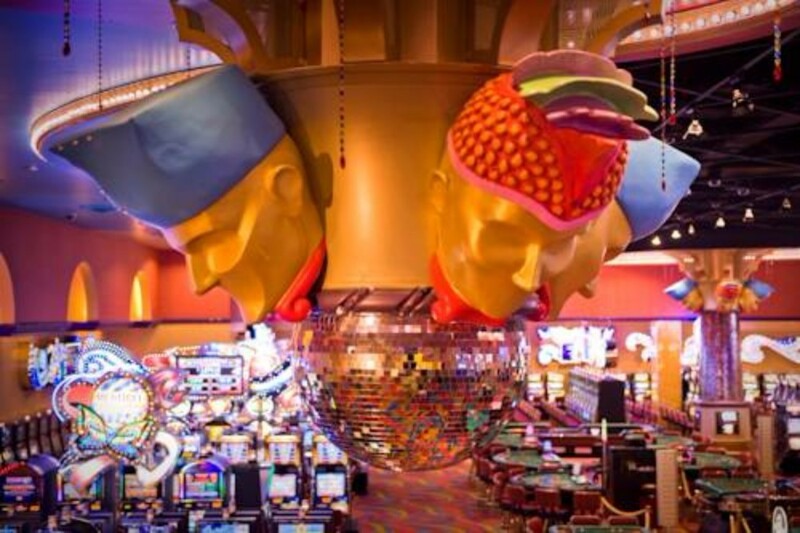 Mostly located in Willemstad's main districts and resorts, here is a list of places for you to get your Vegas on:Carnaval Casino, Casino Awasa (Otrabanda), Airport casino, Americana Casino, Curaçao Casino (Hilton Hotel), Diamond Beach Casino (Jan Thiel Beach), Downtown Casino, Emerald Casino (Piscadera Bay), Hill Ross Casino, Princess Casino, Veneto Casino (Otrabanda), the Gentlemen's Club Mirage and Casino. On your Curaçao holiday its likely you want to be pretty close to the beach at all times, right? Luckily, there are plenty of beach bars where you can sip cocktails with your toes practically on the sand! 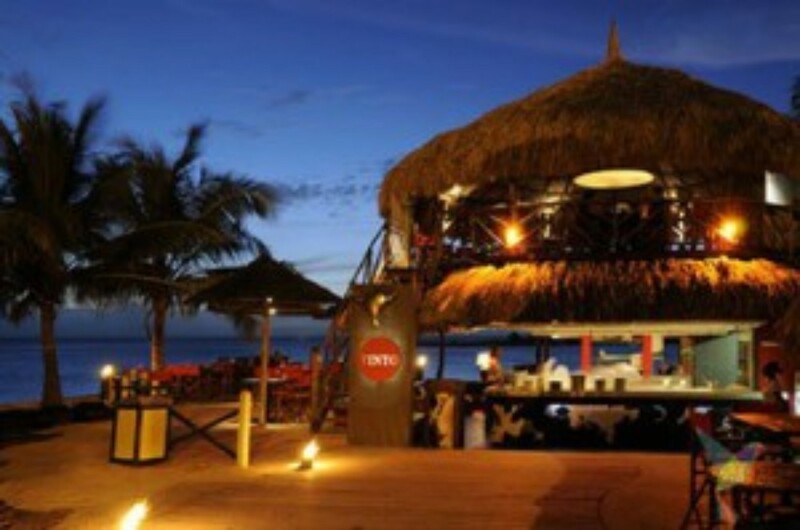 Try Baya Beach Lounge with its deck and soak up the sea breeze- drink in hand. 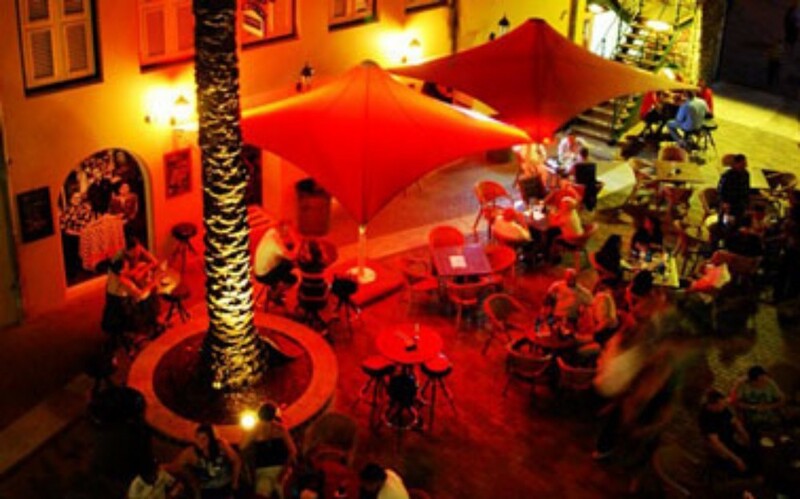 Cafe Old Dutch will give you a sense of Dutch tradition, while weekend live music (mainly salsa) is the attraction at Chobolobo. For a great view of the sunset, the Christoffel Sunset Lounge in Westpunt offers a lovely, laid back vibe with sports on the big screen and snacks available. Midweek, Wednesday nights are owned by De Gouverneur, where jam sessions make up the entertainment. On Sunday nights, head to the Hemingway beach bar and restaurant on the Seaquarium Beach for some Cuban live music and food. For views and cocktails (and what more could you need?!) Fort Waakzaamheid Tavern, which has its happy hour… every hour! For more cocktail fun, try the Rif Fort Bar, reputed to have the island's biggest cocktails. If you're looking for additional drinks with a stunning backdrop, go to Schooner Bar in Penstraat and enjoy the panoramic views as well as the relaxed atmosphere, and their exciting Friday afternoon happy hour events. For those wanting to try a local brew, head to Grand Café de Heeren, where Amstel Bright is served, or go to theCaribbean lounge Bar to try their vast collection of rum, or sip on a cocktail, or glass of champagne whilst taking in the view of St Anna Bay. If you’re missing the pool tables from home and fancy a game or two, head to Hook Hut in Piscadera Bay. It isn’t the smartest by any stretch of the imagination, but is rare in the sense it has games and beer. The only gay bar on the island is Lyric's Café, which features a lounge, bar, and dance pole, and spins a mix of Latin and pop music. For some jazz, try Curacao's new jazz cafe Miles features sophisticated cocktails, a relaxing yet hip atmosphere, and of course, jazz music. The café is named after jazz legend Miles Davis. Plaza Hotel Curacao in Punda has its Shooters Bar which offers lovely views of St Anna bay, a variety of drinks and live music on Mondays and Fridays. Though named a “club”, the Wet & Wild Beach Club is actually more of a bar; nightly drink specials, free barbecue during Friday's happy hour, and a local DJ plays on Saturdays. While many standalone bars, as back home, you will find many bars and restaurants combined- some where you sit down, and others where you can pull up a stool at the bar. A few worth mentioning include Asia de Cuba, Blues at the Avilla Beach Hotel in Penstraat with its weekly Live Jazz Night on Thursdays, Avalon Social Club, Kasbinini Cafe in Willemstad, Mambo Beach at the Seaquarium Beach, the Iguana Cafe in Punda for Saturday Live Music, and Ole Ole Jazz Club and Restaurant in Willemstad. With a selection of local and international cuisine, casual or fine dining, there's always something new to taste and experience in Curaçao. For a taste of the local fare: Palay Forti, Jaanchies Restaurant (both in Westpunt), Komedor Krioyo in Landhuis Dokterstuin (Weg naar Westpunt), Marsche Bieuw (Old Market Food Court, Willemstad), Sea Side Terrace (Willemstad). To sample the island's daily fresh catch: Fishalicious, Scampis (both in Willemstad), Shore (in Nieuwpoort). For that special occasion, or just because you deserve a treat: Baoase Beach Club, Belle Terrace (both in the Penstraat area), Bistro Le Clochard (Rif Fort), Fort Nassau, Infinity Beach Club (Otrabanda), Papagayo Speciality Restaurant (Jan Thiel Baai), Sjalotte (Piscaderabaai), Sunset Bar & Grill (Landhuis Blauw), The Wine Cellar (Punda). To satisfy those juicy meat cravings: Pincho Garden (Jan Thiel), Espetada House, El Gaucho, Rodeo House of Ribs, Texas Alaparia, The Double Decker, The Grill King, The Ribs Factory, Tony Roma's, Landhuis Brakkeput Mei Mei , L'Aldea (all Willemstad), Kalki Beach Bar & Grill (Playa Kalki), Pirates Nest. 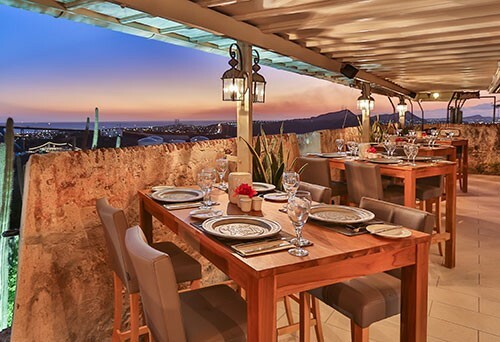 You will also find many other restaurants offering Italian, Mexican, Asian and other international cuisine, as well as the usual fast food joints. For refreshing sweet treats, the island also counts many ice-cream, authentic gelateria and frozen yogurt parlours that you will easily find on the seafront as well as in the country's shopping centres and main shopping areas. Bermuda is a great place to visit for those who are looking for a good dance, but somewhere not too overpoweringly loud… here you can still hold a conversation! The dance floor is alive with bright lights and great music while the lounge is a casual place to catch up with friends over a drink or two. One of the most popular nightclubs on Curacao is Club X-Clusive, with its lighting effects and pumping music. Club Zen is especially popular with a young crown who have just come of clubbing age, and offers a variety of music from DJ sets to performances by local bands. Facade, meanwhile, is a dance club frequented by guests of all ages and boast three floors and a huge bar. Emerald Lounge is great fun at the weekends, especially on Fridays which are dubbed “salsa night.” On Saturdays the DJ breaks out the jazz and soul classics while you can sample their signature frozen mojito and dine on sushi. For a more relaxed, piano-bar atmosphere with great service, tipples, and cigars, head to Sopranos, which you will find at the heart of the historical Rif Fort, in Otrabanda. You don't have to spend your night drinking and dancing to have a good night on Curacao- and if you're on your Curacao holiday with your family, you can pop to see a movie at the ‘Cinemas’ and ‘Movies Curacao’, located in Willemstad. Or head for a spot of bowling at Tropical Bowling Club 3000 which also has a restaurant and bar. Teatro Luna Blou specialises in live theatrical and musical performances.